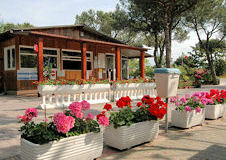 The campsite is open from April till 30 September. 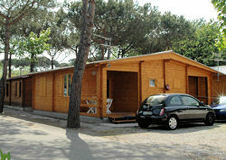 The Campsite Città di Massa is situated in the locality of Partaccia in Marina di Massa, within the boundaries of Versilia and Liguria. 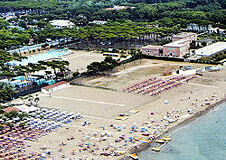 It's at the foot of the Apuan Alps and it extends along a magnificent beach 10km long. 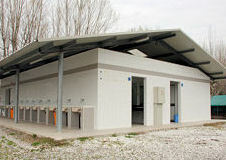 The Camping Città di Massa covering an area of 40,000 sqm. of greenland, is 50 m. from the sea in front of a beautiful beach surrounded by pine woods and other trees, creating an ideal atmosphere for a relaxing stay. The campsite is very comfortable, equipped with all modern amenities that a modern and efficient campsite can offer: well equipped tent pitches, parkings, bar, minimarket and snack serving hot meals. All amenities have hot water facilities coin operated. Whoever stays in our Città di Massa will have an unforgetable holiday.